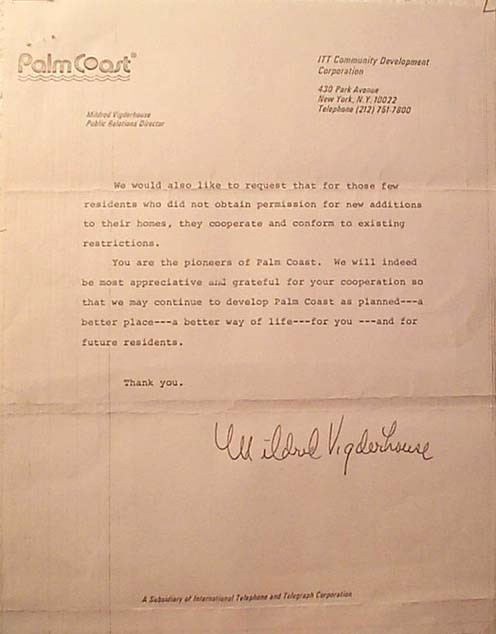 '....so that we may continue to develop Palm Coast as planned ---a better place---a better way of life---ffor you--- and for future residents...'. Note: Before ITT was FTC ordered to relocate here. 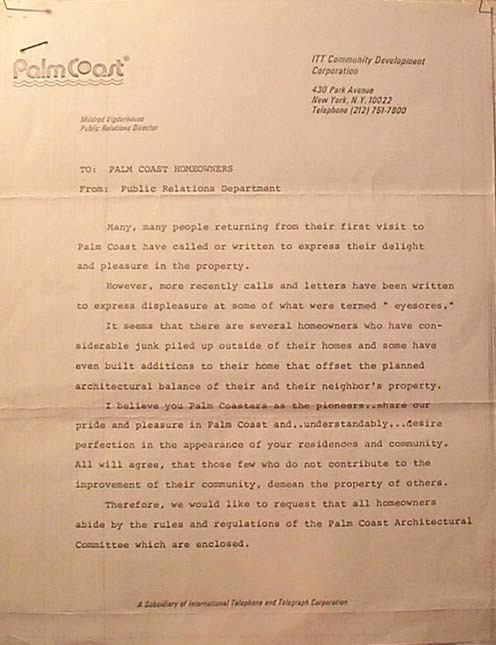 We will remain Stewards of thiese Resources hoping for a Certified Local Government like so many other Florida Leadership Cities already are; hoping for a Museum like Flagler Beach already has.